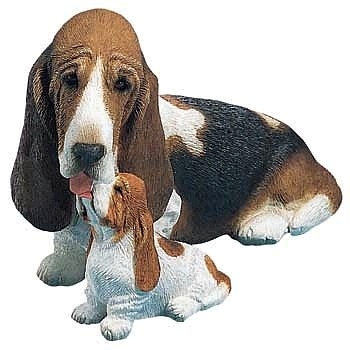 Our Basset Hound statues features a wide range of interesting Basset Hound statues and figurines. This statue surely captures the emotional closeness of a young Basset Hound puppy with its Mother. Made of durable resin. Hand finished. Normally ships in 1-2 weeks. Limited stocks left.